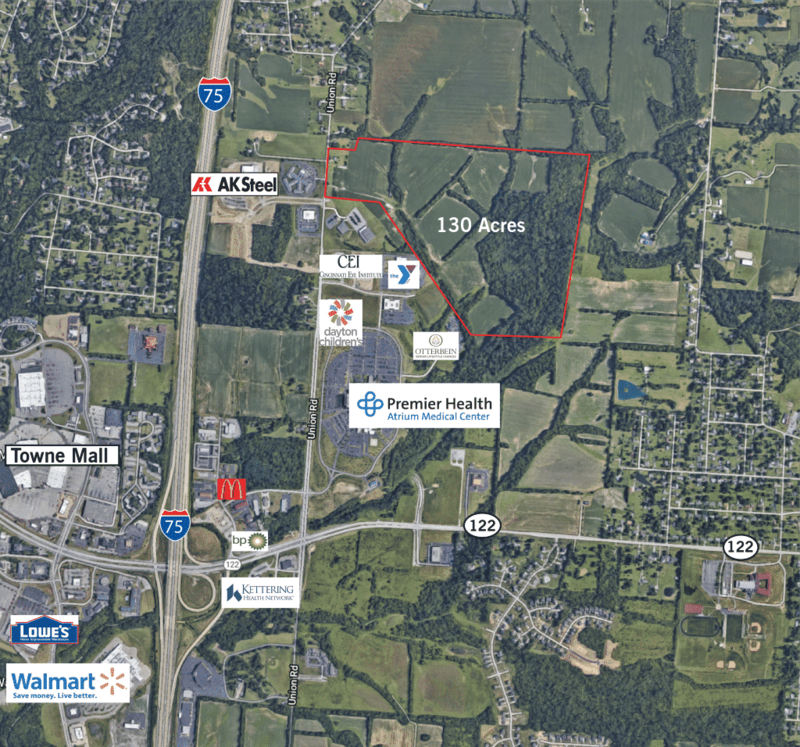 Location offers great access to I-75 and SR 122 (Exit 32) on Union Road – about 1 mile to I-75. All utilities to site including Middletown Water and Sewer. East side of I-75 in Warren County. Flexible zoning – BCF (Business Center Flex) Uses include manufacturing, light industrial, office, conference center, medical, assisted living facilities, research and development.